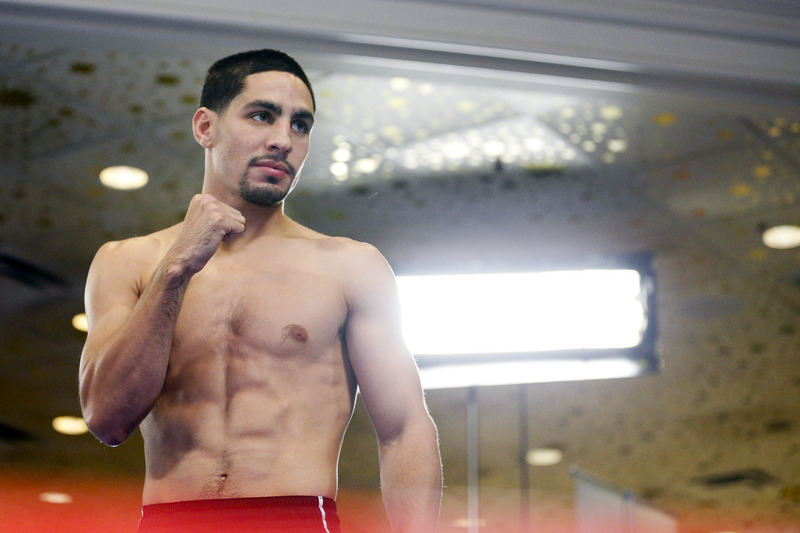 Feb. 17 marks an important date for former lightweight world champion Brandon “Bam Bam” Rios, as he will return to the ring against two-division champion Danny Garcia. The welterweight matchup will take place live on SHOWTIME from the Mandalay Bay Casino & Resort in Las Vegas, Nev. on a Premier Boxing Champions telecast. For Rios, who was once a wrecking ball at 135 and 140 pounds, this will give him a chance to get back into the title hunt. Following a press conference from the Conga Room in L.A. Live in Los Angeles on Tuesday afternoon, Rios spoke on the Garcia fight. Rios suffered a defeat at the hands of Tim Bradley in November of 2015 and he didn’t appear to be himself, as he lacked energy and a game plan, eventually being stopped in the ninth round. For this fight, Rios has linked back up with his former trainer Robert Garcia, who he has worked with dating back to his amateur days. “I’m always confident when I get in the ring,” said Rios. “Having Robert Garcia in there is having my brother with me. It’s just another voice that I’m used to and that I trust. I used to not always take training and my weight as seriously as I should have. I was young and dumb and I made mistakes. Those mistakes are in my past and I’m in great shape right now. “I’ve been training really hard to have a full gas tank on fight night,” Rios added. “I could have stayed retired but I still have it in me and there is still more I can get out of this sport. I truly love boxing and I’m excited to be back in a big fight like this. Rios admits that it was a little bit of a test getting back in the swing of things, but that he is fully ready to go. He returned from the Bradley defeat this past June, as he stopped Aaron Herrera in the seventh round in Lancaster, Calif. Win or lose, Feb. 17 should give us a glimpse of the Rios of old.